1.2 What are bad or harmful fats? 1.3 Is eating fats bad? 1.4 Why are trans fats or hydrogenated fats bad? 1.5 Why is saturated fat bad? 1.7 Are foods high in cholesterol bad? 1.9 How much cholesterol can you eat per day? 1.10 How to reduce high cholesterol? 1.11 Are saturated fats good or bad? 1.13 Why are saturated fats considered bad fats? 1.16 What is a hamburger or a sausage accompanied with? 1.17 What is the worst saturated fat? 1.21 What is the best fat? What are bad or harmful fats? Bad or harmful fats are those types of fats that, when overeat in the diet, can lead to major health problems. Bad fats are those that, in excess, can cause diseases and health problems. 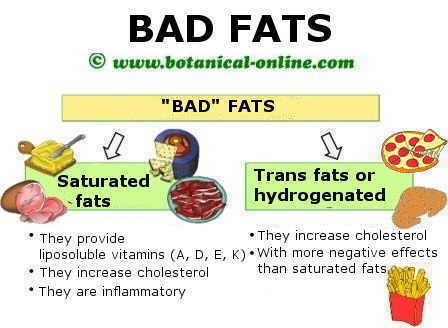 For humans, these fats are trans fats or hydrogenated fats and saturated “long chain” fats. 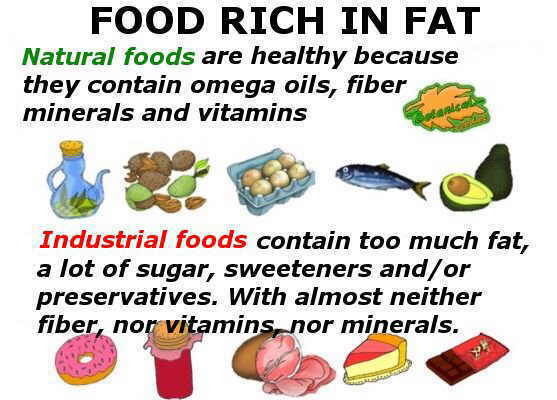 Fats are good for the body when they are in balance. Some fats have to be contributed in a smaller proportion than others in the diet, while other types of fats are preferable not to consume them. For example, all cells in the body are made up of fats, such as cholesterol, which gives stability to cell membranes. 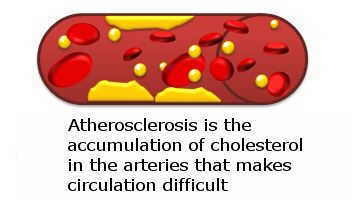 However, people with familial hypercholesterolemia (for genetic causes accumulate cholesterol) may have circulation problems if they consume many high cholesterol foods. Therefore, when talking about bad fats, it should be understood that it is a generalized concept, and that the advice should be adapted to each person, according to his/her circumstances. There are different types of fats, and some must be more present in the diet than others. Why are trans fats or hydrogenated fats bad? 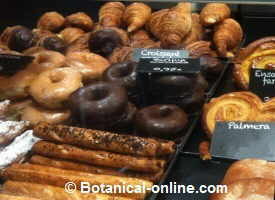 Industrial bakery and confectionery contains lots of fat, in addition to excess sugar and cholesterol. 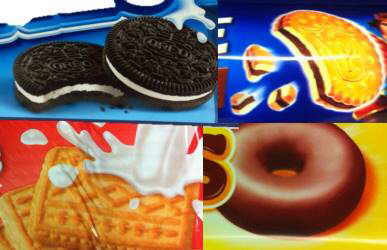 They are one of the foods that contribute worse quality of fats. Scientific studies have observed the relationship between trans fat consumption the highest increase in mortality, high bad cholesterol, increased cardiovascular disease, and increased incidence of diabetes in people who eat food with this type of fat. Hydrogenated fats are found in industrial products made with lots of fat, such as chips, snacks, pre-cooked,…, and especially in pastries, and sweet products to which has been added vegetable fats of poor quality (palm oil, Hydrogenated vegetable oils, etc.). To a lesser extent, trans fats are also found in dairy fat, as in butter, cheeses, and products made with these ingredients (butter, croissant, etc.). Until recently, the consumption of saturated fats has been associated with risks similar to those produced by trans fats. It has recently been observed that this is not the case. Trans fats are much more harmful than saturated fats, but in industrial products usually appear the two types (as in coconut oil, palm oil, palm kernel oil, etc.). On the other hand, there are different types of saturated fats, which are classified according to their size (fats or short, medium and long chain fatty acids). Not all produce the negative effects of trans fats, but in general it is convenient not to abuse of foods rich in saturated fats. Summary drawing on bad fats. 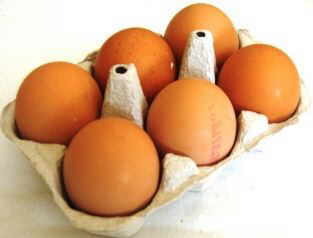 In general they are those of animal origin, rich in saturated fatty acids and cholesterol. Trans or hydrogenated fats are the worst. Are foods high in cholesterol bad? Until recently, foods with a lot of cholesterol, such as eggs, were also thought to produce an increase in cholesterol levels in the blood. Scientific studies have observed that this is not the case, because the body has a “sensor” that tells you not to make cholesterol if you already have enough of the diet. Therefore, eating eggs does not raise cholesterol in most people, with the exception of people with familial hypercholesterolemia. These people have a genetic tendency to accumulate cholesterol and should avoid it in their diet. How much cholesterol can you eat per day? In the past, a daily consumption limit of less than 300mg was established, currently this dietary recommendation has been rejected. How to reduce high cholesterol? It seems that the problem of high cholesterol is not the intake of the nutrient itself, but the foods that contribute and the amount in which they are consumed. It is not the same whether cholesterol comes from meats, shrimp or fish, or from unhealthy foods like croissants, donuts, sausages and other foods rich in energy, sugars, flours, additives and salt. In addition, hypercholesterolemia is also strongly influenced by other factors such as stress, sedentary lifestyle, genetic causes and some metabolic diseases such as those of thyroid. Are saturated fats good or bad? 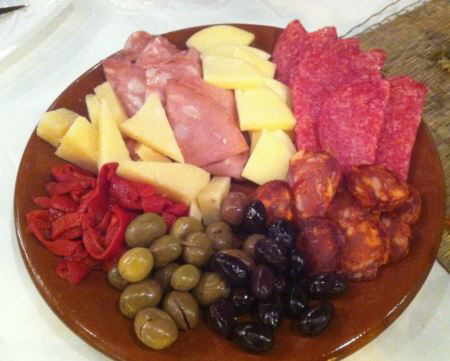 Sausages and cheese are high in saturated fat and cholesterol. Saturated fats abound mainly in foods of animal origin, such as butter, cream, fatty cheeses, red meat, processed meat (sausages, meats, pâtés, hamburgers, viscera, etc. ), foie gras and Eggs. Vegetable oils containing saturated fats are solids at room temperature. They are mainly coconut, palm and palm seed oil. Animal fats are mainly saturated, but they are important because they provide energy and provide fat-soluble vitamins (vitamin A, D, E, K), which are essential for the proper functioning of the body. The body can store these vitamins, so it is not necessary to consume them regularly or in the form of supplements. Animal fats rich in saturated fat also contain cholesterol. Cholesterol is necessary for the integrity of cell membranes, formation of hormones, digestive juices (bile) and for the synthesis of vitamin D. However, it is not necessary to take it because our body can produce its own cholesterol. People with a genetic tendency to accumulate cholesterol, or excess fat in the diet, will see their cholesterol levels increased by taking lots of animal or coconut fats. To avoid this, they should reduce their intake and take daily chia seeds or ground flax. Why are saturated fats considered bad fats? Excessive saturated fat in the diet is bad because it can lead to overweight problems, metabolic syndrome, obesity, and all of its complications. In addition, if it comes from processed foods, such as sausages or pastries, it produces other negative health effects associated with these products, such as preventing the benefits of omega 3 fats. Taking too much sugar predisposes to obesity and type 2 diabetes. Photo of bacon. 3 slices of fried bacon contain 600 calories and lots of salt. The problem with saturated fat is that it is consumed in exaggerated amounts and comes from unhealthy foods like processed meats. 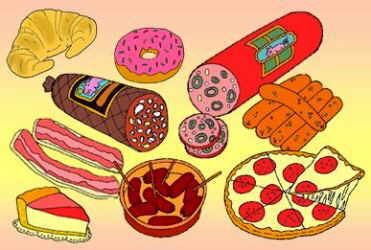 The main source of saturated fats are animal products. As mentioned above, saturated fats do not produce the negative effects of trans fats, however, saturated fats are often treated as bad fats. Why does this occur? The main problem with saturated fats is their origin in the diet. Often saturated fat comes from unhealthy foods, such as pastries, cakes, cream, sausages, sausages, cold cuts, bacon (bacon), etc. These products contain, in addition to saturated fat, a lot of sugar, starches or other additives that make them non-recommended products. In general, meat consumption of the population is excessive and of poor quality, with an excessive intake of meat (especially processed meat), fried foods, butter, cream, creams, etc. What is a hamburger or a sausage accompanied with? In addition, if these animal fats (mostly monounsaturated and saturated) are accompanied by potato chips, white bread, white rice or other poor in vitamins refined foods, their effect on health is worse. When you consume any type of fat it should be done in proper proportions and balanced with a diet rich in vegetables. On the other hand, toxic substances (xenobiotics) are accumulated in the fat of the animals. The body must eliminate heavy metals, pesticides, medicine remnants and hormones,, so food of animal origin should be consumed in moderate amounts. Differences between natural and ultra-processed foods. Fat is not the only component that matters. What is the worst saturated fat? 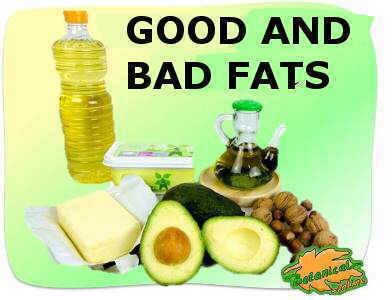 The worst saturated and harmful fats are those that contain very long chain saturated fatty acids (LCFAs). As its name indicates, these are very large fatty acids that the body has difficulty using as an energy source, so it always uses other fats available, which causes them not to burn and accumulate in the tissues, mainly in the heart. Very long chain saturated fatty acids are found in palm and palm kernel oils. And why is this saturated fat of palm kernel and palm so harmful? To understand it we must explain it at the molecular level. That a fat is saturated and very long is a problem because it takes up too much space in the mitochondria and has little affinity for the enzymes that should burn it. This causes other types of fats to be used and this very long chain saturated fat accumulates in the abdominal and visceral fat, such as in the heart or liver. This only occurs with very long chain fatty acids (LCFA), it does not occur with long chain saturated fatty acids (up to 16 and 18 carbons), which “burn” perfectly. When adipocytes, full of fatty acids, mobilize their fats to burn, these so long fatty acids(LCFA) usually accumulate because they use other faster to “burn”. At the end, deposits are formed that produce problems in the heart or liver. There is no problem for health in taking some palm or palm kernel fat occasionally, because it can burn, although as we have seen, very slowly. The problem happens when the same bun is taken daily with 1% saturated fat LCFA, which at the end of the year does suppose a significant amount. For this reason, it is always necessary to control the intake of bakery and industrial products with poor fats, both obese and lean, children or adults, because it is susceptible to contain a lot of palm oil and palm kernel oil. Trans fats or hydrogenated fats are vegetable oils that are chemically handled (they go through a hydrogenation process) to make them like saturated fats. After this process, the oils become solid and their fats are what we call “trans” or hydrogenated fats. Within this type of fats we have, for example, some vegetable margarines, industrial pizzas, fats that are added to many industrial buns and cakes, popcorn or microwave popcorn, etc. Trans fats are labeled as “hydrogenated fats” or “trans fats” (see: trans fats or hydrogenated fats). Hydrogenated fats are the worst, the most harmful and have no health properties. The body can not metabolize them correctly and usually have more harmful effects than the excess of saturated fats. Therefore, the consumption of this type of fats has to be very low. Hydrogenated fat can also be formed in fried foods when a vegetable oil is heated a lot or when an oil is smoking. This indicates the deterioration of fat, increased acidity and the formation of substances such as trans fatty acids and peroxides, which in the body are oxidizing and accelerate the deterioration of cells. In addition, irritants such as acrolein, nitrosamines in food, etc. The best way to avoid ingesting these substances is not to cook fried foods, or not to subject the oil to high temperatures. If fried fat is consumed, to compensate, it should be accompanied by fried vegetables or foods rich in vitamin C and flavonoids (beta carotenes, quercetin, rutin,…), which are antioxidant substances. What is the best fat? The best fat is that of olive oil, rich in oleic acid, monounsaturated. Consuming healthy fats in the diet increases the absorption of liposoluble components such as beta carotenes from carrots, pumpkins, broccoli, etc. For this reason a trickle of oil in the vegetable improves its properties.